Guerlain will launch a new limited edition perfume for women in May 2014 – Terracotta Le Parfum. Guerlain launched its Terracotta makeup collection three decades ago and was influenced by the warm, suntanned colors of the time. The range has sustained its popularity and today celebrates its 30th anniversary.The fragrance composition is a creation of Thierry Wasser and is described as ‘the allure of the sun in a bottle’. 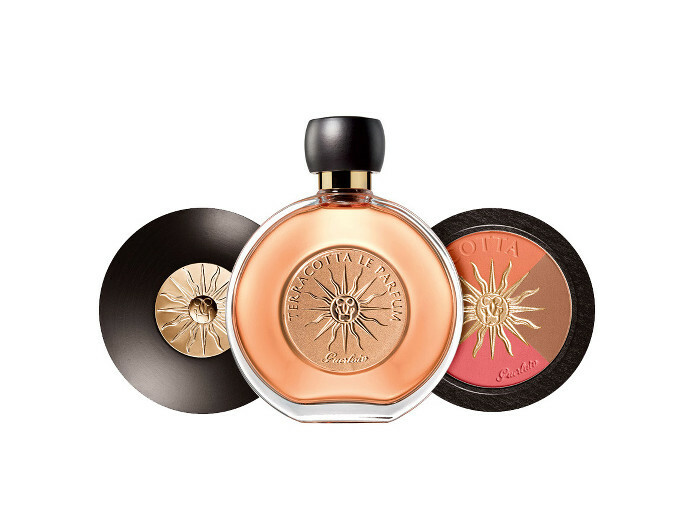 Guerlain identifies Terracotta Le Parfum as the attraction of the sun in a bottle a solar floral with notes of bergamot, coconut, tiare flower, orange blossom, jasmine, ylang-ylang, vanilla and musk. It is irresistibly sensual, sultry and lustrous, influenced by the glorious warmth of the world of Terracotta. Guerlain Terracotta Le Parfum will be available from May 2014 in 50ml Eau de Parfum versions along with the matching makeup cosmetics line.